Bruce Springsteen claims he was “Born to Run” while John Kay of Steppenwolf singings he was “Born to be Wild.” Musician and singer-songwriter Sara Niemietz, meanwhile, was born for the stage. Niemietz started her career as a child actress, performing in theatre productions, television shows, film roles and multiple musical performances. Now as an adult, Niemietz is focused on being a musician, singing and writing music. Her new album, “Get Right” was just released on March 22nd. By age 11, Niemietz was singing regularly on stage. If you go to the Sara Niemietz Youtube page, you can she a video of Sara at age 11, singing the Carole King/Gerry Goffin song, “(You Make Me Feel Like) A Natural Woman” at the Cat Club on Sunset Strip. Even at this young age, Sara’s vocal range was strong and she was confident with her delivery on the song made famous by Aretha Franklin. Sara was involved with music, theatre, TV and film productions during her childhood and as a young adult. (To read more about Sara’s many non-musical accomplishments, please go to her official website. In 2012, Niemietz reunited with B. J. Thomas on the Grand Ole Opry stage and once again sang, “Hooked on a Feeling” with the pop and country singer. She has also worked with Richard Marx and Melissa Manchester with various projects. During the past few years, Niemietz has collaborated with W.G. Snuffy Walden, who is a musician and a composer. Walden has written hundreds of film and television soundtracks over the years. He has accompanied Niemietz on various music projects. Some are cover versions of songs, while other tunes are original compositions. The other big activity for Niemietz is being involved with Scott Bradlee’s, Postmodern Jukebox (PMJ) group. PMJ is known for taking popular 21st century contemporary songs and rearranging those songs into a different genre of musical style. Many of the PMJ songs are performed in 1920’s jazz or swing format. Tonight while the lights are shinin’ and the microphone is on, I’ll play for you. So many will be the blessings and so short will the time, I’ll stay with you. I’ve practiced many years and I have come a long, long way just to play for you. My life is but a song that I have written in many ways, just to say to you. And these few moments we’ll share together, and I’ll play for you. Last month, Niemietz released a new album, “Get Right,” which she and W.G. Snuffy Walden produced together. Ten songs are on the new album. Nine-songs were written by Niemietz, along with various co-writers. The tenth tune is a cover of “Crying,” a song first made popular by Roy Orbison during 1961. The music on “Get Right” is pop-focused according to Niemietz, but it does incorporate other musical genres. As I listen to the album, I hear some jazz, blues, country and even a little gospel influence as part of the music mix. The album opens up with, “Waiting on the Day,” which is a perfect tune that sets the tone for Niemietz’s top-notch vocal delivery. Up-tempo songs like, “Feet Don’t Touch the Floor,” “Don’t Leave Me Hanging,” and the title track, “Get Right” are all catchy and pleasing to the ears. Niemietz showcases her exceptional vocal range on some of the ballads with the new album. “Made to Last,” “Shine,” “Hear Me Now,” and “Crying” all bring out superb and outstanding emotional outpouring when she is singing. 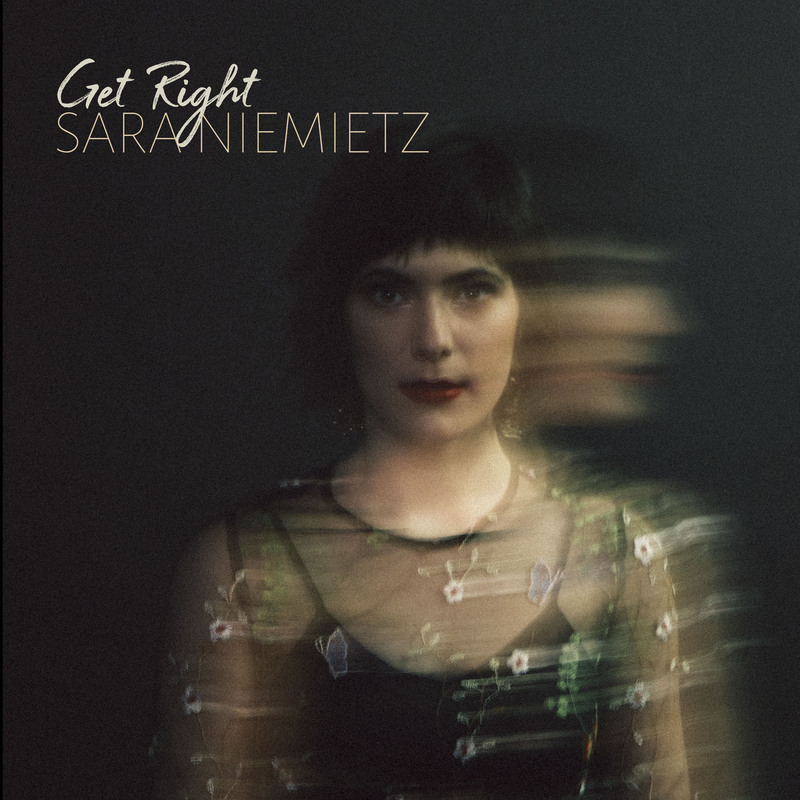 To purchase the “Get Right” album, please to go the official Sara Niemietz website. Currently, Niemietz is in the midst of her “Spring 2019 Tour,” playing in the United Kingdom, Germany, and the Czech Republic. Touring with Niemietz is W.G. Snuffy Walden and Jonathan Richards. They will play in Europe through the end of April. Sara also plans to tour in the United States during the summer of 2019. Being an independent artist without a recording contact, Niemietz has to wear many hats. For her latest, “Get Right” album, she was a producer, musician, singer and the chief promoter for this new project. Niemietz even personally mailed pre-ordered copies of the new album to fans that purchased “Get Right” prior to the March 22nd released date. For Niemietz, one of the positive things about being an independent artist is the freedom to set her own schedule for musical activities. She enjoys interacting with her fans on social media sites as well as performing her songs in concert settings. 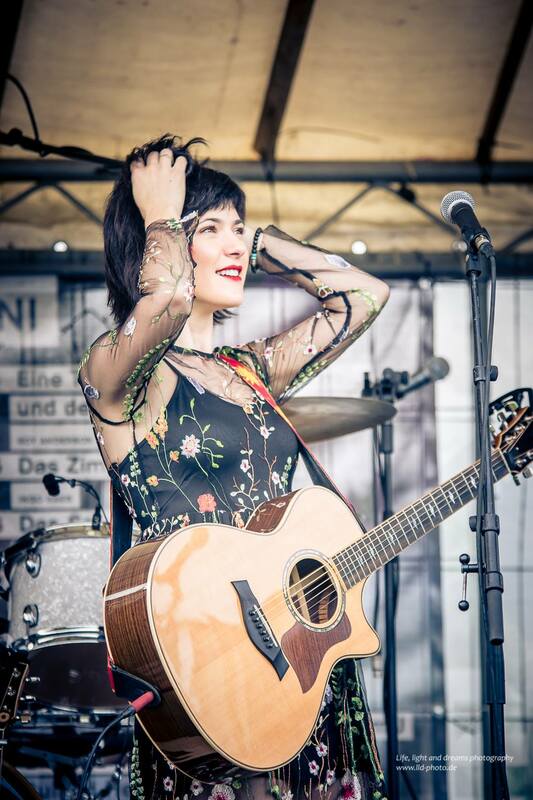 To view any of her videos online, please go to the Sara Niemietz youtube channel. Ever since she was four years old, Niemietz knew that she wanted to be on a stage in some type of capacity. The small seed planted at that time has now blossomed into a radiant flower for the world to enjoy. 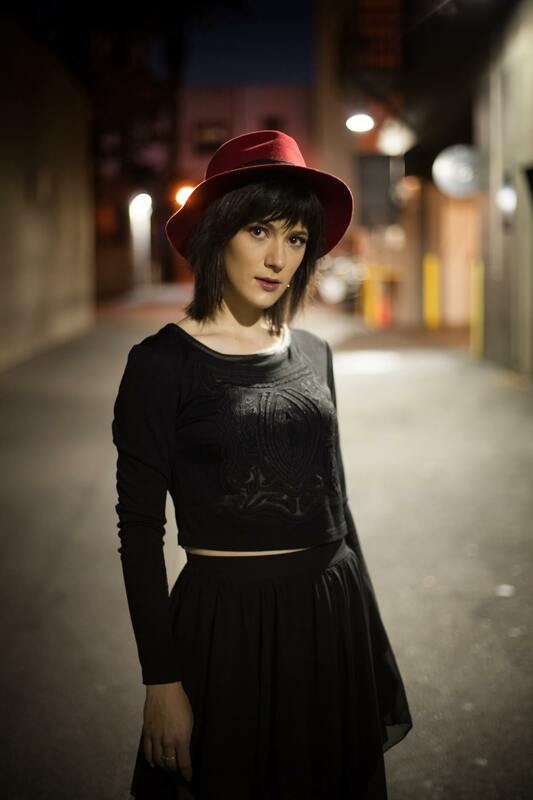 Without a doubt, Sara Niemietz was born for the stage. With the life experiences described above, one would think that Lawrence would be an excellent writer of country music songs. However, Annie doesn’t limit herself with a single genre of music as she flows through multiple musical categories with her compositions. 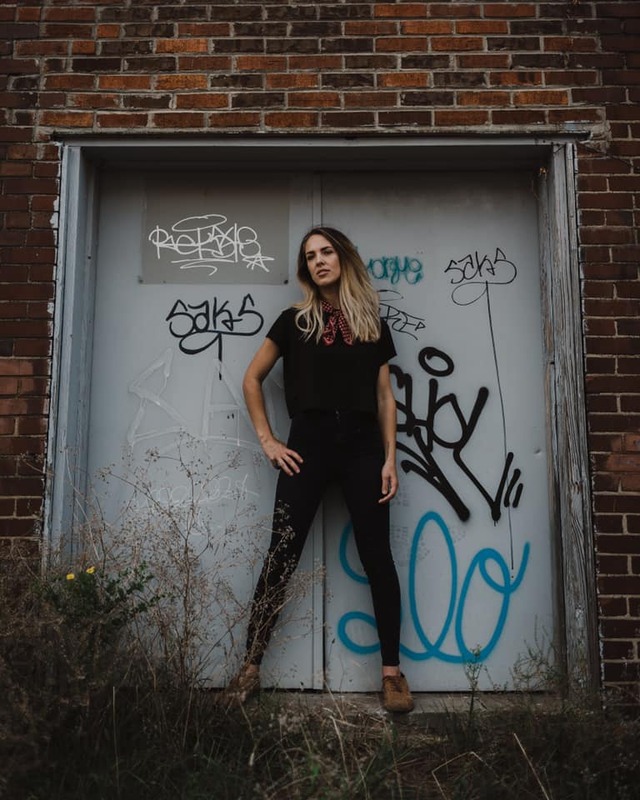 Annie’s own description of her music is “Kitchen sink pop.” She blends an indie-singer vibe with rock, country, contemporary folk, alternative pop and a little bluegrass, for a refreshing musical style. 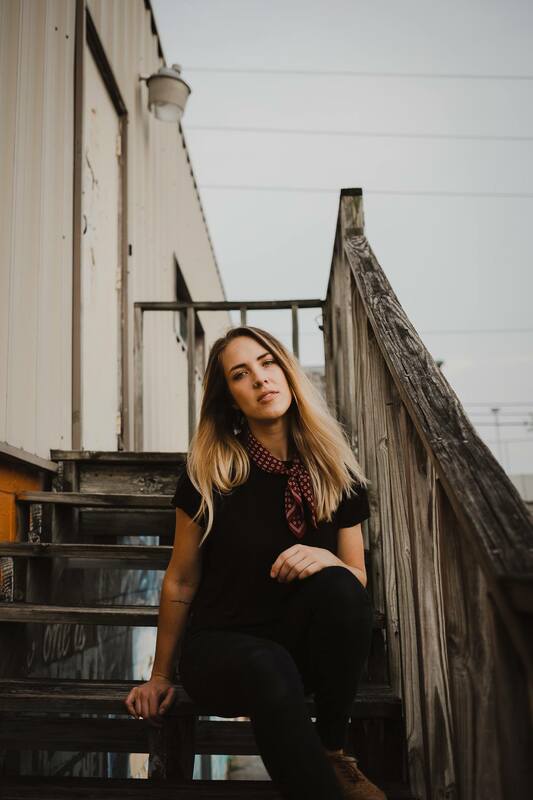 Lawrence has been told by Nashville music producers that her vocal and musical style is somewhere in between Kacey Mugraves and Taylor Swift. Annie Lawrence promotional photo for “If I’m Being Honest” album. After I spoke with Annie via phone earlier this month, I couldn’t help but think of Gloria Gaynor’s classic disco hit from the 70’s, “I Will Survive” when thinking about her life story. Although “I Will Survive” is not a perfect song to describe Lawrence’s current status, it does reflect the mindset and lifestyle that Annie is now utilizing in her life. You can also understand Annie’s life by listening to her new album, “If I’m Being Honest,” that was just released on March 15. Born in Roanoke, Virginia, Annie attended Hidden Valley High School and graduated in 2008. Lawrence was a good athlete in high school as she played both volleyball and softball at Hidden Valley. 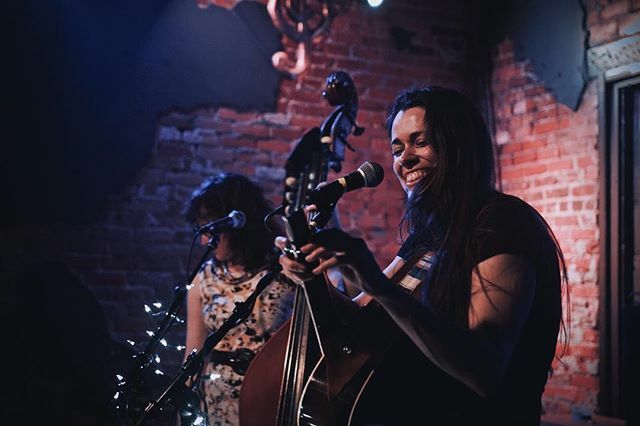 During Annie’s teen years, she picked up a love for bluegrass from her father Quigg Lawrence, and her biggest influences musically came from Allison Krauss and the Dixie Chicks. She also played piano and sang during worship services at Church of the Holy Spirit, an Anglican parish in Roanoke. The first seeds of a music career were developed at that time. Annie’s love for music grew during her days attending James Madison University (JMU) in Harrisonburg, Virginia, where she graduated in 2012. 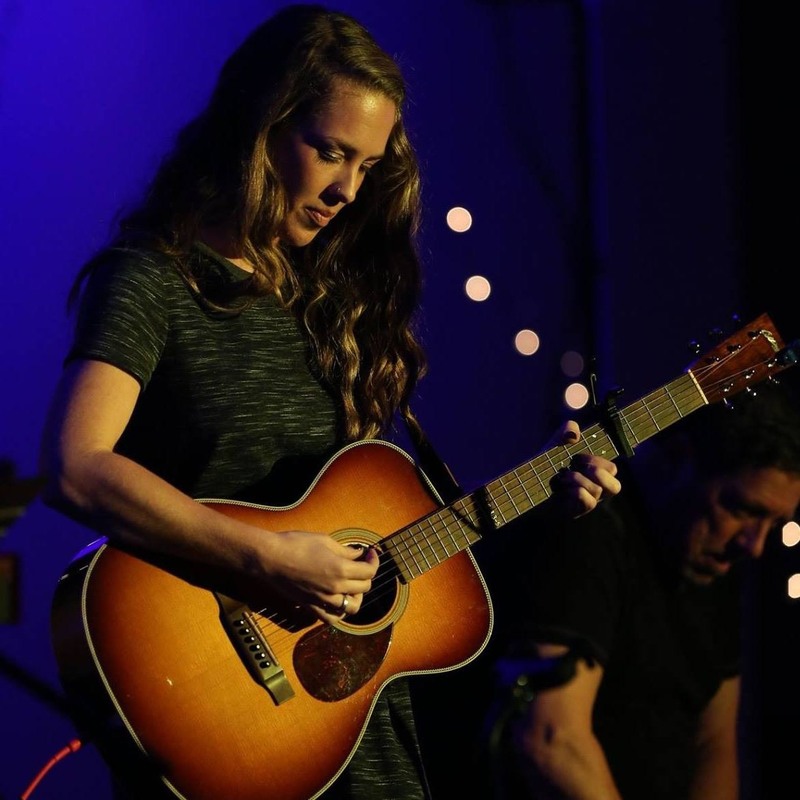 She first started playing guitar during her sophomore year at JMU and performed at various music events on campus. Lawrence credits many college courses at JMU with helping her to decide on a music career. One JMU class in particular, a song-writing course, gave Annie the desire and courage to pursue music as a lifetime goal. 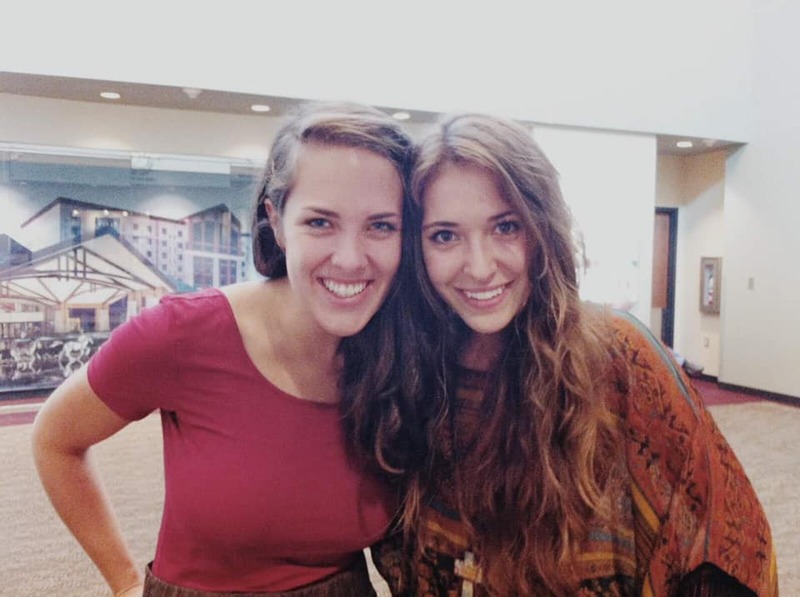 Another positive influence for Annie during her JMU days was being part of Alethia Church in Harrisonburg. Lawrence played guitar and sang with the worship team. This experience was another reason she went on to pursue a music profession. 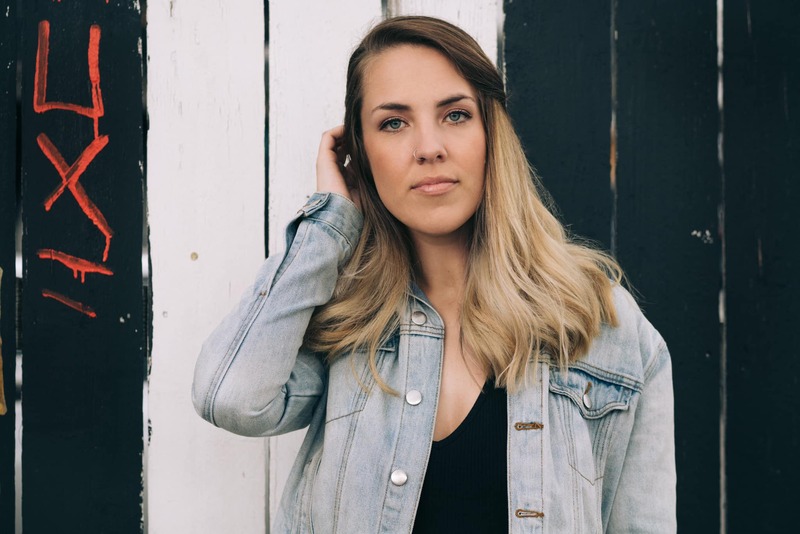 The summer between her junior and senior years at JMU, Annie traveled to Nashville, Tennessee and recorded an EP called, “Light is Stronger.” Lawrence had the opportunity to work with the husband/wife team of Drew & Ellie Holcomb on the album. With this experience, Annie’s goal of a music career was already in gear. Graduating from JMU with a “Writing, Rhetoric and Technical Communication” major and a “Music Industry” minor, Annie then set her sights on Nashville and moved there after graduation. Annie Lawrence performing in Roanoke concert, 3/24/19. Photo by Quigg Lawrence. With thousands of wannabe artists moving to Nashville on a yearly basis, making a living as a music artist is hard. Annie’s story is no different. And to make things even worst, she was diagnosed with cancer in November 2013. “I look back, and it’s all kind of a blur,” Lawrence said. Obviously, this totally rearranged priorities in Annie’s life. Thankfully, doctors successfully removed the cancer from Annie’s body with surgery and she has been in remission for the past five years. It hasn’t been easy being a cancer survivor as Annie has struggled with various other health issues. Through these struggles, Annie has learned to be strong in spite of her difficulties. 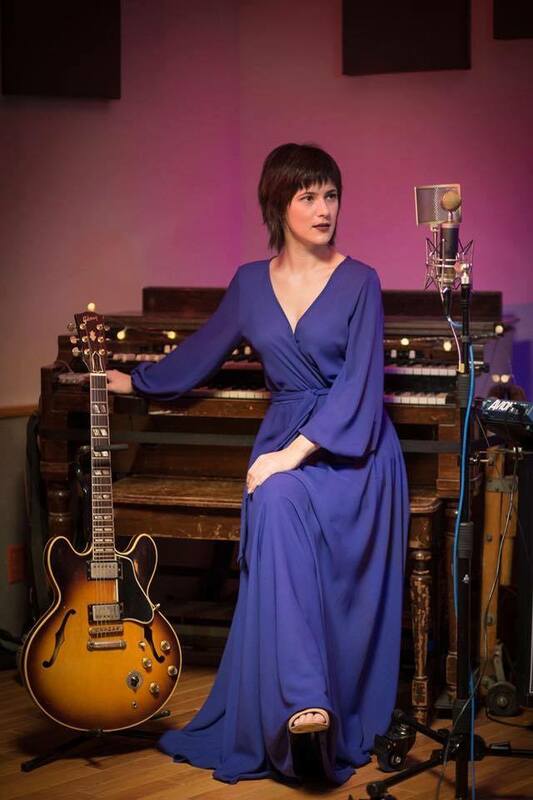 During 2015, Annie recorded and released her first album, “Everything Changes.” Lawrence played mandolin for the first time on the album and singer-songwriter Natalie Grant is featured on the title track. Lawrence’s song writing showed maturity during this time period. 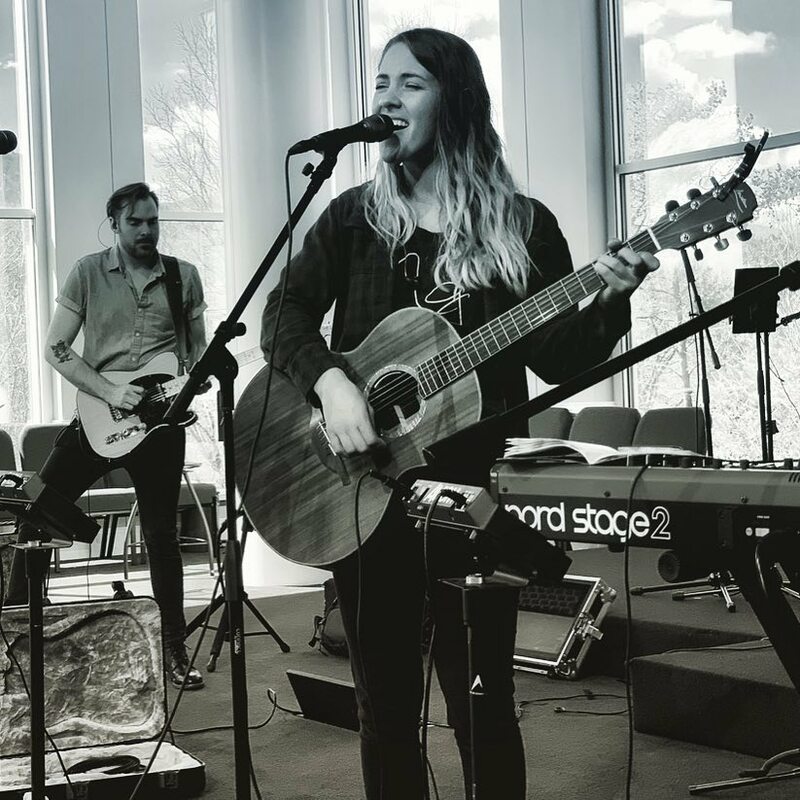 Over the past few years, Annie has toured or collaborated with Jenny & Tyler, Ellie Holcomb, Lauren Daigle, Kayla Woodson and Leslie Jordan of All Sons & Daughters. She also performed on the Grand Ole Opry stage with Natalie Grant five years ago. Forward to 2019: Annie is extremely happy that her new album, “If I’m Being Honest” is now available for the world to hear. Lawrence’s new full-length album has 11-tracks, with Thomas Doeve and Adam Agin as the producers of this new music. “If I’m Being Honest” Annie Lawrence album cover. 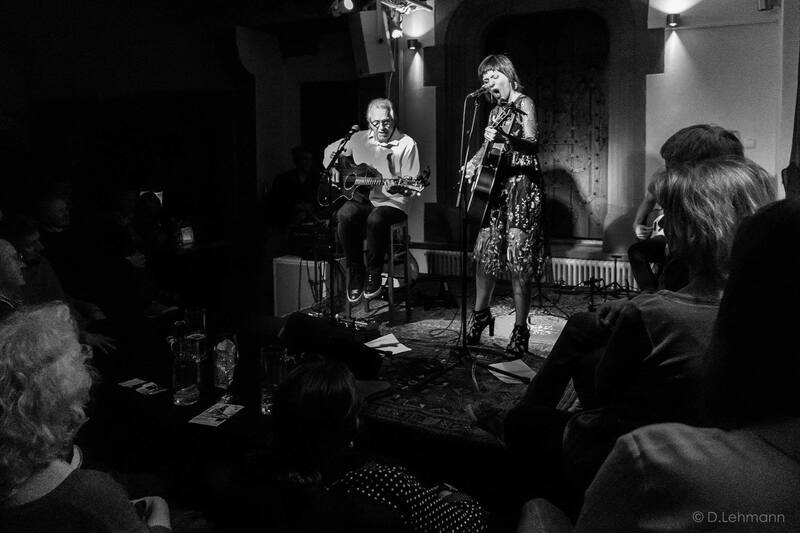 Two main themes of Annie’s new album are: understanding that she has been given a second chance in life as a cancer survivor and the overcoming of three broken relationships. Here are the 11 songs on the “If I Am Being Honest” album. Annie Lawrence and band practicing for “If I’m Being Honest” tour. Photo by Quigg Lawrence. Annie now has an answer follow up song to “Indiana Wants Me” with her “Good Luck” tune, as she sings during the chorus: “Nothing you can do can bring me back to Indiana, good luck to YOU.” A clever song, indeed! 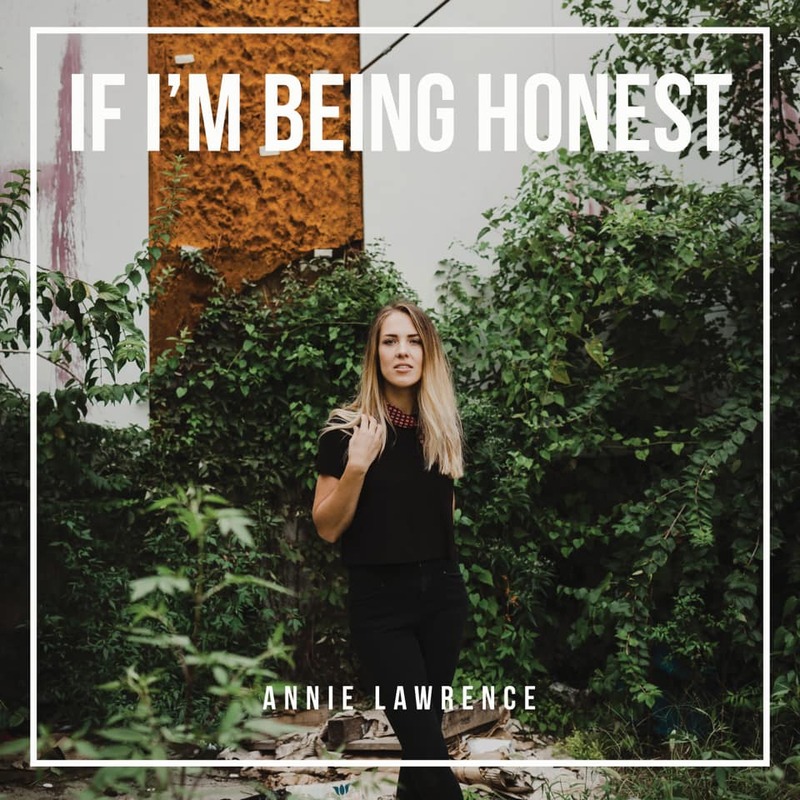 You can purchase Annie’s new album, “If I’m Being Honest” at Annie Lawrence Music. Lawrence is now touring with a band in support of her new album. Stops include New York City, and four Virginia cities: Vienna, Harrisonburg, Richmond and Roanoke. Annie’s story is unique to her. Her life experiences continue to mold and shape who she is and where she is headed in the future. “If I’m Being Honest” is a direct outcome of Annie’s struggles, understanding and acceptance of daily life realities. 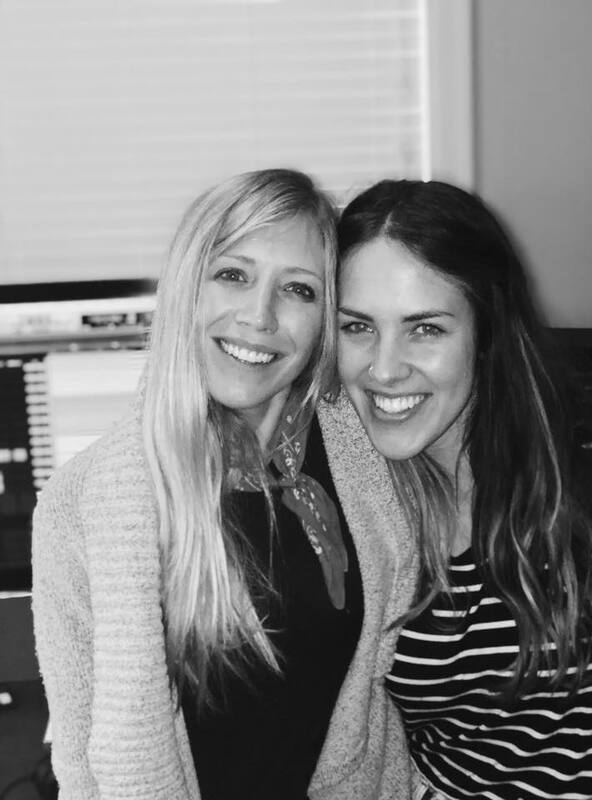 When I interviewed Annie, I came away with the following: No matter what trial or tribulation Lawrence faces in life, she is determined to make lemonade out of lemons. “If I’m Being Honest” is a reflection of that mentality. Her honesty in exploring hard topics is refreshing. Without a doubt, Annie Lawrence is a survivor! Billboard Hot 100: Comparing Ariana Grande with the Beatles? Ariana Grande has an excellent singing voice. Her four-octave vocal range makes her one of the best pure singers over the past ten years. February 19th, 2019 was a historic day for Grande. She became only the second artist ever to achieve the top three positions on the Billboard Hot 100 chart, matching the feat first accomplished by the Beatles in 1964. (Now it must be noted that the Beatles actually held all five of the top spots on the Billboard Hot 100 for one week during April 1964, at the height of Beatlemania in America. Obviously, the Beatles holding all 5 songs at the Top of the Hot 100 is still the overall record with the Billboard chart). While I admire and respect the accomplishment of Ariana Grande, I am wondering how can we accurately rank Grande’s historic position in relation to the Beatles holding down the top 5 spots on the Billboard Hot 100 during 1964? For over 60 years, Billboard Magazine has tracked the top songs in America with their Billboard Hot 100 chart. Since 1958, Billboard has tracked song popularity by using various metrics. The first number one song on the Billboard Hot 100 was “Poor Little Fool” by Ricky Nelson, on August 4, 1958. During the golden age of Top 40 radio, major market radio stations played a key role in songs becoming hits. 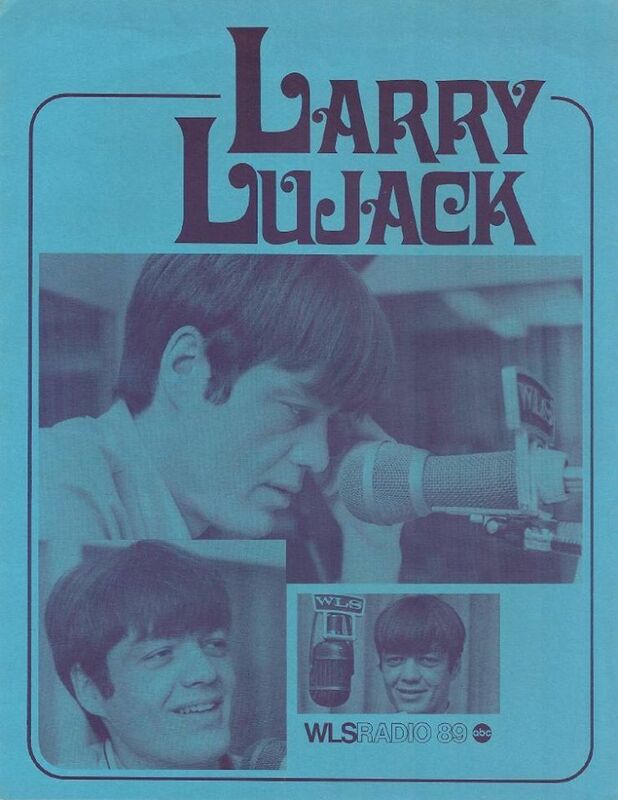 If either Cousin Brucie on WABC New York or Larry Lujack on WLS Chicago played your song on their radio stations, the song generally reached the top 10 and quite possibly the number 1 position on the Billboard Hot 100. Over the years, the way people bought and listened to music changed and so did the policy of criteria used by Billboard to calculate the Hot 100. When record and singles sales dropped during the 90’s, Billboard switched the Hot 100 from a singles chart to a songs chart. Album cuts were also considered for the first time during this time period. Last decade, Billboard introduced digital downloads and online audio streaming to the Hot 100 process and earlier in this decade added video streaming from YouTube and other sources to the Hot 100 mix. Today the Hot 100 tracks radio airplay by audience impressions as measured by Nielsen BDS, sales data compiled by Nielsen Soundscan, both at retail and digitally, and streaming activity provided by online music sources, according to Billboard. As you can tell, the criteria that Billboard uses here in 2019 is completely different than what they utilized in 1964 when the Beatles held the top 5 spots on the Billboard Hot 100. My question that I pose for you: How can we compare the Billboard Hot 100 chart success of Ariana Grande (or any other artist today) with the historic Beatles music feat of 55 years ago? Isn’t this comparing apples to oranges? The only constant thing for over 60 years is that Billboard has created a weekly Hot 100 chart. 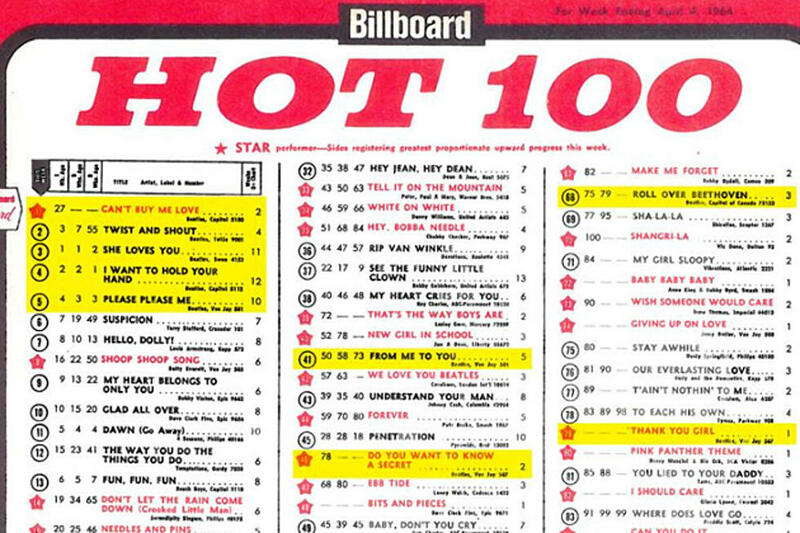 Everything else about the chart: How the songs are measured, are completely different now compared to Hot 100 calculations in 1964. I am in agreement with both Al Weed and Dave Delaney with their assessment of Grande and her recent historic success. However, I still wonder how to accurately rank the music feat of the Beatles: Which happened 55 years ago, to the chart topping Billboard Hot 100 record, just set by Grande? Can I reconcile the totally different set of criteria used by Billboard in 1964, compared to the music measurements used by the Hot 100 in 2019? Quite frankly, I do not consider there is a fair and accurate way to evaluate extreme differences of Hot 100 benchmarks between the 1960’s and today. Ranking music over a 60-year period of time can be subjective. My thoughts could be totally different from what you think on this subject. Reasonable minds can agree to disagree when it comes to opinions on music. I find it extremely hard to properly rank and place music, compiled over 6-decades, when the metrics and categories of measurements have radically changed over the course of time. Billboard will probably continue to crank out their Hot 100 chart, as long as there is recorded music on a national level. Many will debate music history as it relates to the current music scene. More than likely, people will have dialogue on the Billboard Hot 100 for years to come. 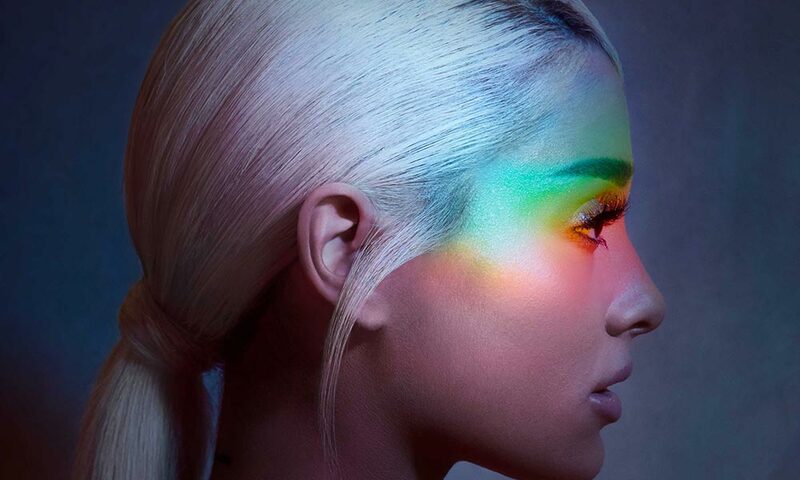 What are your thoughts on Ariana Grande and her recent Billboard Hot 100 music performance? Is it equal to the Beatles 1964 Hot 100 achievement? Better? Not as good? Different? Ariana or the Fab 4? Which do you choose? To subscribe to my blog via email, please click the “Follow” button in the menu above. I am looking forward reading your comments on my latest blog message. Rock on! The state of Maine is known for its rocky coastline, lighthouses, lobster, moose, blueberries, Acadia National Park and LL Bean. Rarely does anyone outside of the Pine Tree State ever think about Maine’s music scene. I predict that will be changing when those outside of New England learn about the Oshima Brothers. 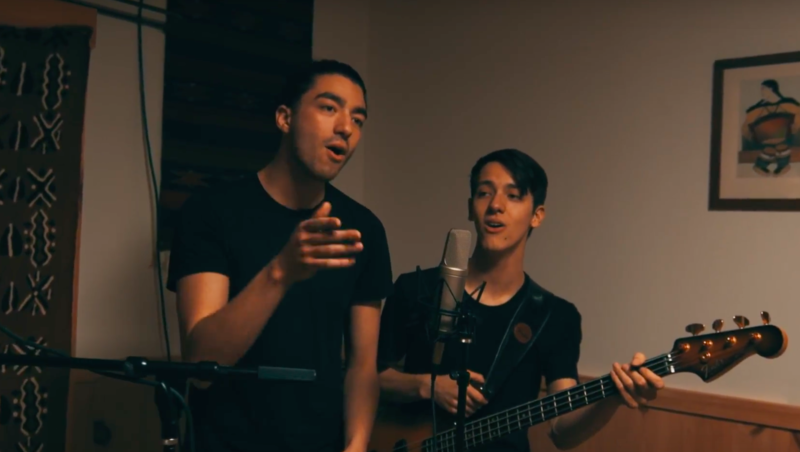 The Oshima Brothers are a musical duo composed of two siblings, older brother Sean, 24, and Jaime, 21. The brothers were born and raised in a rural area near the Maine state capital of Augusta, and now call the mid-coast town of Belfast, Maine their home. Sean and Jamie have been playing music together as siblings since they were young boys. Their parents are also musicians. Mom Toki and Dad John regularly played music during contra dances across the state of Maine and gave their sons an appreciation for music by playing multiple instruments. 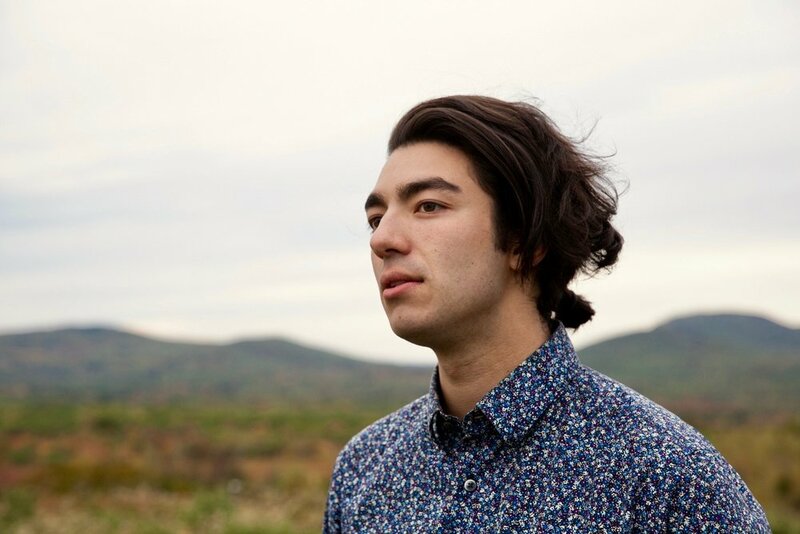 Music has always been the focus for the entire Oshima family. Brothers Jamie and Sean both have distinct roles within their band and harmoniously blend individual strengths together to create the unique sound of their musical partnership. Sean is the chief songwriter, business manager, and public relations director and handles all communications for the duo. He plays rhythm guitar, harmonica, and cajón at shows, along with vocal duties. Sean has an exceptional falsetto vocal range. Jamie is the music maestro, producer, recording/audio engineer and filmmaker for the band. 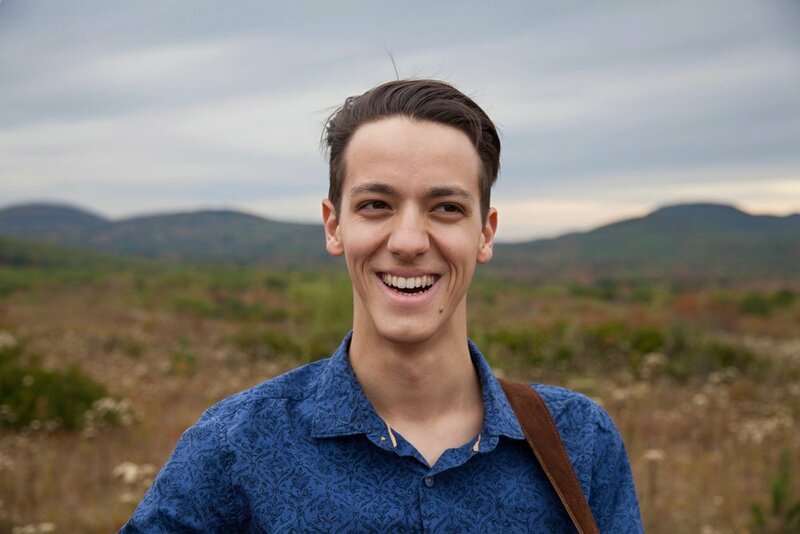 He plays multiple instruments including the electric guitar, bass, drums, keyboard, mandolin, banjo, and fiddle while also recording songs and videos at the Oshima Brothers home studio. Jamie also shares vocal responsibilities with his brother. I first came to be familiar with the Oshima Brothers band the day before they came to Roanoke, Virginia for a concert. My sister, Kathryn Larson, who lives in New Gloucester, Maine, has actually known Jamie and Sean since they were young boys. Kathryn is a contra dance caller throughout the state of Maine and the Oshima Brothers, along with their parents John and Toki, have played at many contra dances over the years where Kathryn is the caller. With Kathryn’s connection, I met Sean and Jamie three hours before their concert at The Spot on Kirk in downtown Roanoke on Monday January 14th. 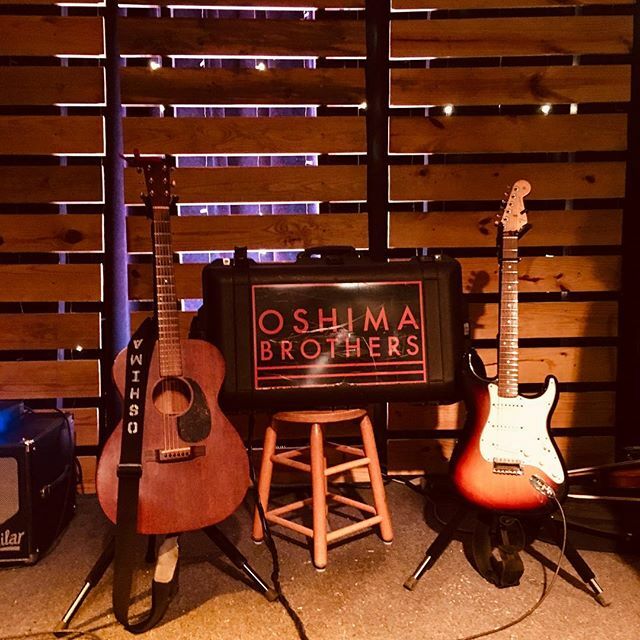 The Oshima Brothers were the opening band for singer-songwriter Caitlin Canty, as both were part of a 13-stop tour that was sponsored by the Americana Music Association. 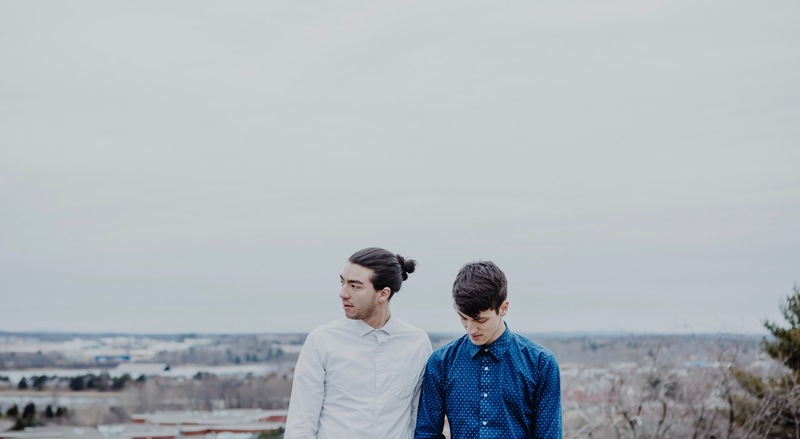 During my interview with Jamie and Sean, I found out that they formed their band in 2015 and released the self-titled, “Oshima Brothers” album during 2016. They also have a 5-song EP called, “Under the Same Stars” that is currently not released to buy online but was available for purchase for those who attended their concert in Roanoke that evening. What artists influenced you when you were growing up? Sean: We have been obsessed with The Beatles forever. We also listened to Jackson 5, Gillian Welch, Jack Johnson. Funk, reggae, traditional fiddle tunes, old country duets. What type of artists do you listen to in 2019? 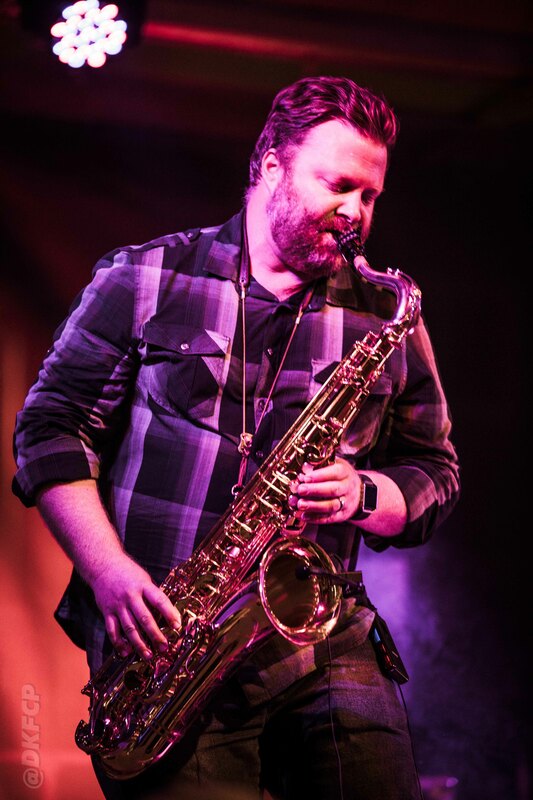 Sean: We love all types of music from groovy pop to smooth jazz. We listen to Ray Charles, John Mayer, Tom Misch, The Fleet Foxes, Bon Iver and on and on and on forever. What is the one thing you most admire about your brother? Sean: His clear focus. He’s obsessed with all things music. I admire the eagerness with which he dives into musical projects, new recordings, new videos. Jamie’s patience and relentlessness is amazing. Jamie: I admire Sean’s ability to match his sock color to the occasion, mood, and atmosphere of an event, and his outfit. I don’t know, but he might have 100 pairs of socks. I also like his poetry. It’s pretty good. Describe the type of music you play? Sean: It’s sort of like indie-folk-pop. A little mix of everything. It can be groovy and dreamy and smooth and chill and acoustic and electric all at the same time. Rich with harmonies and bass and big drums then stark and sweet with acoustic guitar. Before Sean and Jamie opened their show, I gave each brother a bottle of Poland Spring water as a welcome to Roanoke and to help them have a pleasant reminder of their beloved home state of Maine. The opening selection of “Nine Mile Kite” started out with Jaime and Sean wonderfully singing a capella before finishing their song with playing of instruments. An excellent tune to begin their show. Wonderful harmonies were part of every Oshima Brothers song that was played at the Roanoke show. The concert was a good mix of up-tempo tunes and pleasing slow ballad grooves. One of the highlights of the evening was the performance of a brand new single, “Ellie” which Sean said that Portland Maine Triple A radio station, WCLZ 98.9 FM is now playing and how it was thrilling hearing their song receiving air play in their home state. With the right radio exposure, I believe “Ellie” could become a hit with a wider audience. Halfway through the set, Jamie broke out his fiddle for the toe-tapping song, “Broken” which was a crowd favorite. Two other songs that were highlights for the band were “These Cold Nights” and “Hearts as Full as the Moon.” There is a freshness with the Oshima Brothers’ music, with no two songs sounding alike. Seven of the eight songs performed that evening were original tunes by the brothers. The one cover song they played, “How Deep Is Your Love” by the Bees Gees was superb. The falsetto vocal range and harmony of Sean and Jamie equally matched the singing by the Brothers Gibbs on their number 1 song from 1977. Jamie and Sean’s songs are well crafted. Their harmonies are smooth and flow together beautifully, no matter which song they are performing. I especially enjoy the chord progressions on many of the tunes played by the brothers. 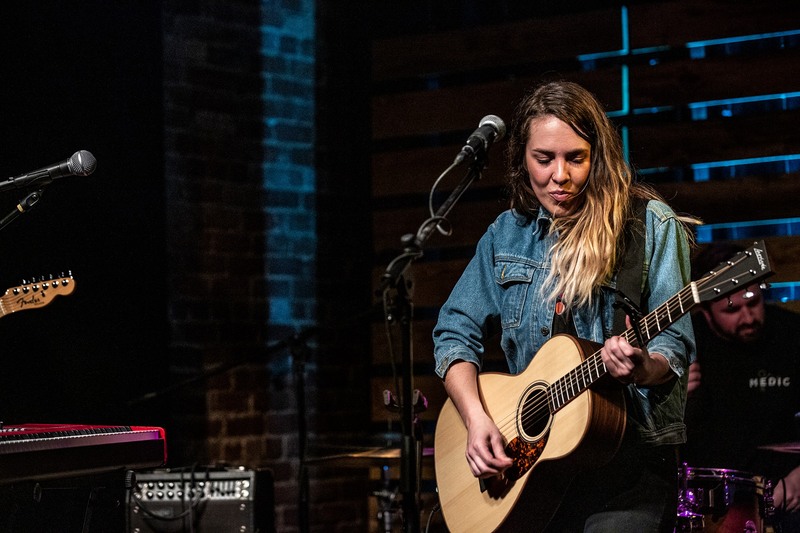 After the Oshima Brothers performed, Caitlin Canty took the stage with her acoustic guitar, laying down excellent tunes with folk, country and introspective storytelling. Accompanying Canty at this concert was Miss Tess, who did an outstanding job playing her upright bass. 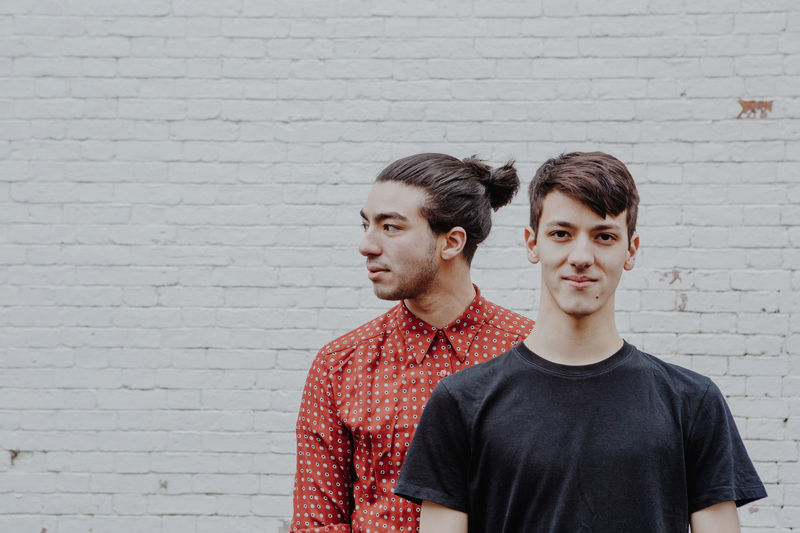 I absolutely agree with Caitlin’s assessment on the Oshima Brothers: I am confident that Sean and Jamie’s music will become popular to a wider audience and we will be blessed to hear much more new music from the brothers in the future. The Oshima Brothers are a Maine Treasure! Imagine if you were inside the childhood house of Paul McCartney in Liverpool and a tour guide invites someone on the tour of the home to play a song on Paul’s piano? It may sound like a dream but it actually became reality for Beatles fan and Roanoke, Virginia native Gayle Deel. While on tour at McCartney’s home, Gayle played John Lennon’s signature song, “Imagine” on the same piano that Paul himself played and sang “When I’m 64”, along with James Corden, on a June 2018 Carpool Karaoke episode of The Late Late Show. It was truly one of the highlights of Gayle’s trip to England to visit multiple Beatles sites during September of last year. I first came in contact with Gayle shortly after I published Dave & Steve Delaney: Beatles Pilgrimage to England on my blog last October. Through our mutual friend Bruce Bias, Gayle and I communicated about me possibly sharing her Beatles experience after she enjoyed reading about the Delaney Brothers Fab Four trip. Earlier this month, I interviewed Gayle about her trip to England and a secondary visit to Iceland to visit a John Lennon memorial, The Imagine Peace Tower. 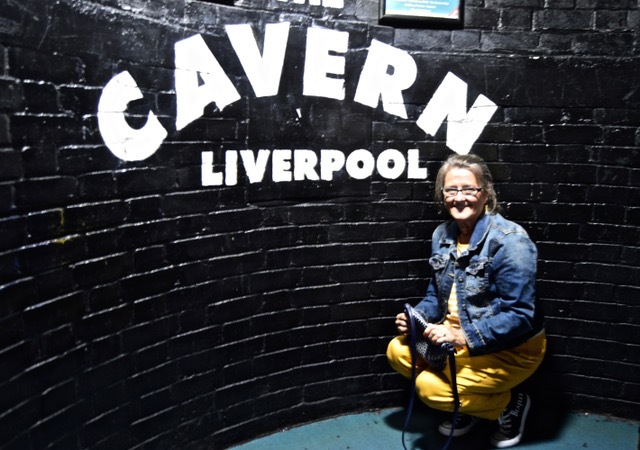 Gayle’s passion and knowledge of the Beatles was evident as she reminisced about various things associated with the band that got their start in Liverpool. 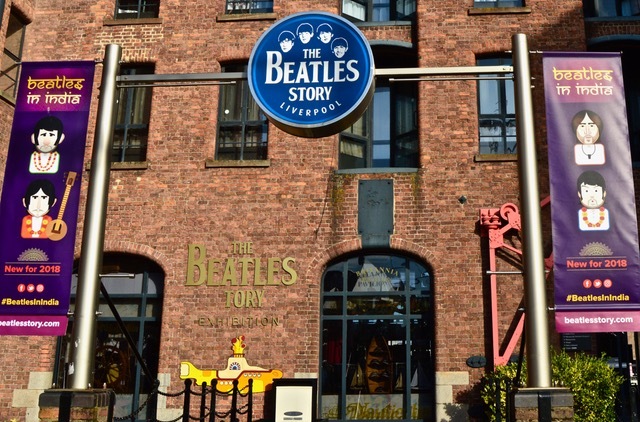 As a retirement gift to herself, Gayle Deel planned a trip of a lifetime: Touring Beatles sites in London and Liverpool, England. Gayle retired from the Veterans Administration Hospital in Salem, Virginia where she worked in the Radiology department for many years. 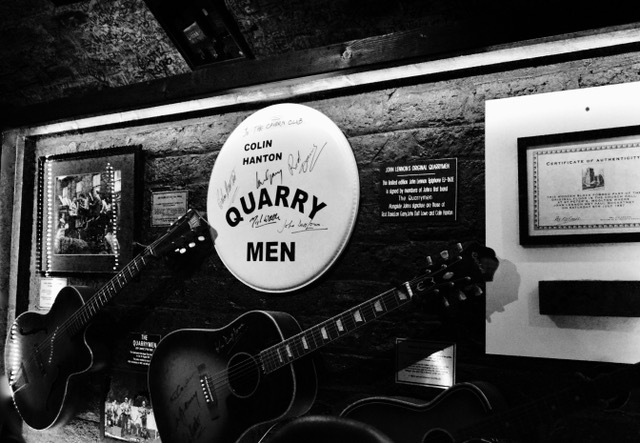 Exhibit at the Cavern Club in Liverpool, England. Photo by Gayle Deel. Accompanying Deel on the trip were her brother Douglas Nauman of High Point, North Carolina and her boyfriend Douglas Rhodes of Roanoke, Virginia. The three embarked to England on September 11, 2018 and spent 7 days viewing various Beatles sites in Liverpool and London. After getting off the airplane at England’s Heathrow Airport, Gayle and her traveling companions boarded a train in London bound for Liverpool. Gayle mused on that initial train ride: “I just knew it was going to look like the same train: I hear “A Hard Day’s Night” (from the 1964 movie where the Fab Four ride on a train from Liverpool to London). The first location the trio visited in Liverpool was the Cavern Club. The Beatles played many concerts there during their early days as a band but the original building was closed in 1973 due to construction on a new underground rail loop. A new building for the Cavern Club came in 1984 and this site is now one of the most visited tourist sites in England. Gayle Deel at the Cavern Club Liverpool, England. 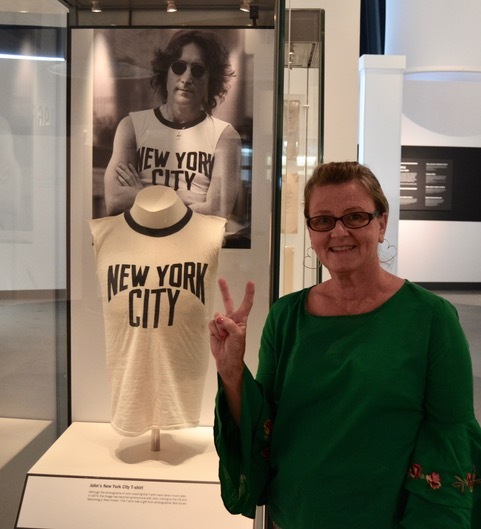 Every Beatles fan has a favorite Beatle, and Gayle has been a John Lennon fan since the days that the Fab Four performed on the Ed Sullivan show during February 1964. She shared with me that visiting Lennon’s Liverpool childhood home was her favorite event on the Beatles pilgrimage. 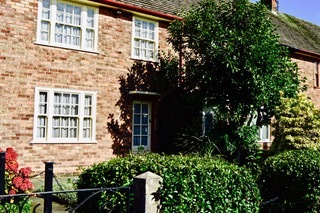 Paul McCartney childhood home in Liverpool, England. Photo by Gayle Deel. 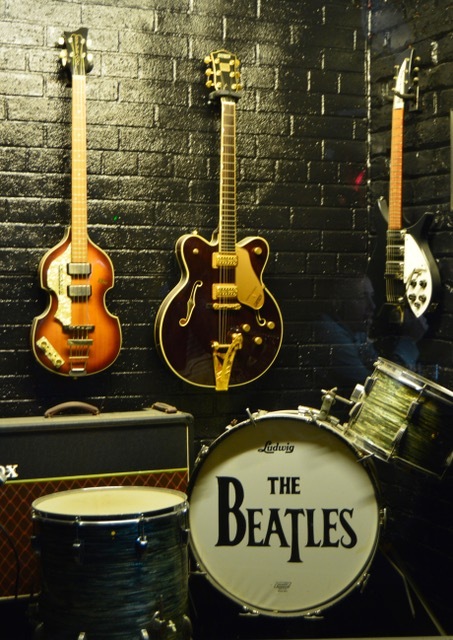 The Beatles Story Museum in Liverpool, England. Photo by Gayle Deel. After spending a few days in Liverpool, it was then time to take what Electric Light Orchestra sang about in 1979, the “Last Train to London.” The next day, Gayle’s touring group hit various Beatles sites in and around London. 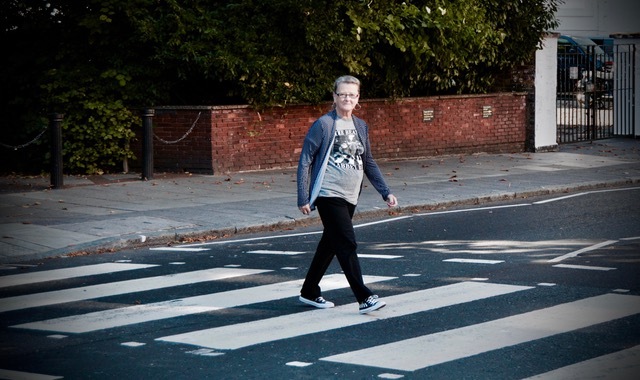 Gayle Deel walking across Abbey Road in London, England. As trips go, Gayle, her brother and boyfriend all enjoyed their Beatles trip to England. However, Gayle wasn’t finished visiting sites associated with the Beatles. 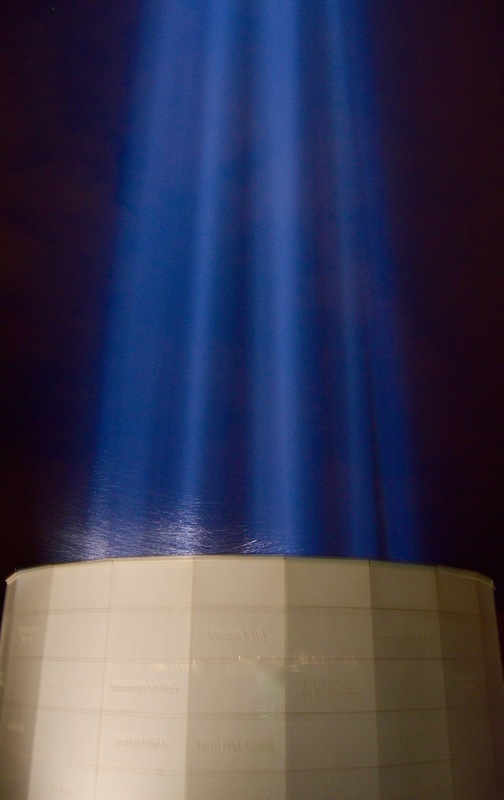 On December 4th of last year, Deel and her boyfriend Douglas Rhodes went to Iceland to view the Imagine Peace Tower. Gayle had a wonderful experience visiting Iceland and the Peace Tower. Here are some of her thoughts as she recalls visiting the Nordic island country in the North Atlantic. 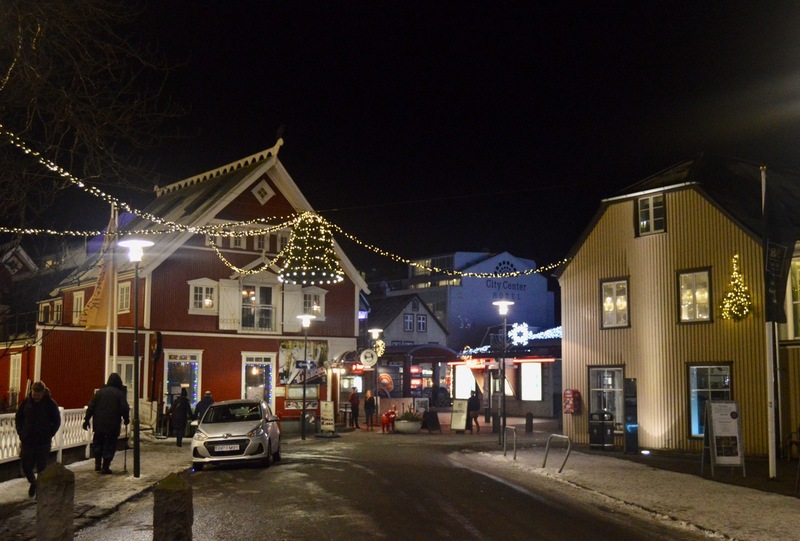 Iceland town. Photo by Gayle Deel. Whale watching boat, Atlantic Ocean, along the coast in Iceland. Photo by Gayle Deel. As you can tell from Gayle’s writing above, she was deeply moved by her time in Iceland visiting the Imagine Peace Tower. She told me during our interview that she would like to revisit Iceland again in the future. Imagine Peace Tower in Iceland. Photo by Gayle Deel. Next up on Gayle’s bucket list is visiting Bermuda. This was the location where John Lennon wrote the songs for his last album, “Double Fantasy” which was released just prior to his assassination on December 8th, 1980. Gayle would love to listen to Lennon’s song, “Watching the Wheels” while visiting the Caribbean Island. 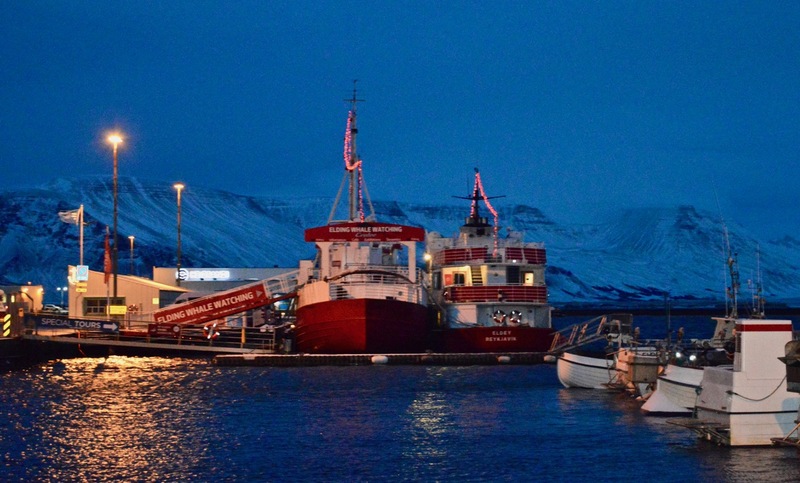 Thanks to Gayle for sharing her pilgrimage to England and Iceland. After hearing and writing about her experiences, this Beatles fan is ready to travel in England and beyond to visit Fab Four sites. The lyrics above are from Jackson Browne’s 1977 song “The Load Out,” which mentions roadies. I had this song rolling across my mind, as I was a roadie for Andrew Peterson’s “Behold the Lamb of God” tour in Roanoke, Virginia last month. While taking a break from roadie duties that day, I received a call from my friend Bruce Bias. After finishing small talk, Bias asked me the question: “What is Frat Rock?” My friend had been listening to E Street Radio on SiriusXM and heard Bruce Springsteen mentioning that he used to play Frat Rock music in the early days of his career before the release of the “Born to Run” album in 1975. I didn’t know quite how to respond to his question. The only thing that initially came to my mind was music that was played in the 1978 film, “Animal House.” Or maybe it was music that is played by garage bands? Before ending our phone chat, I told Bruce that I would research the meaning of Frat Rock and get back with him. Obviously, I educated myself on the subject and am ready to share my thoughts with Bruce and to everyone else who is reading about Frat Rock now. The week that I was researching Frat Rock, I watched the 1996 film, “That Thing You Do!” for the first time. Written and produced by Tom Hanks, the movie chronicles the rise and fall of a fictional 1964 “one hit wonder” garage rock band. The film accurately portrays what a typical garage band would be like in the mid-60’s and paints the picture of what many Frat Rock bands had to deal with during that time period. My daughter Amy recommended the film to me and I am now recommending the movie to all who are reading this message. So what is Frat Rock? This genre of music is closely associated with the garage rock bands that became popular after Beatlemania swept across America in 1964. Frat Rock is also associated with 60’s R&B grooves: songs that have fast up-tempo beats and explosive choruses that can be sung by multiple singers. 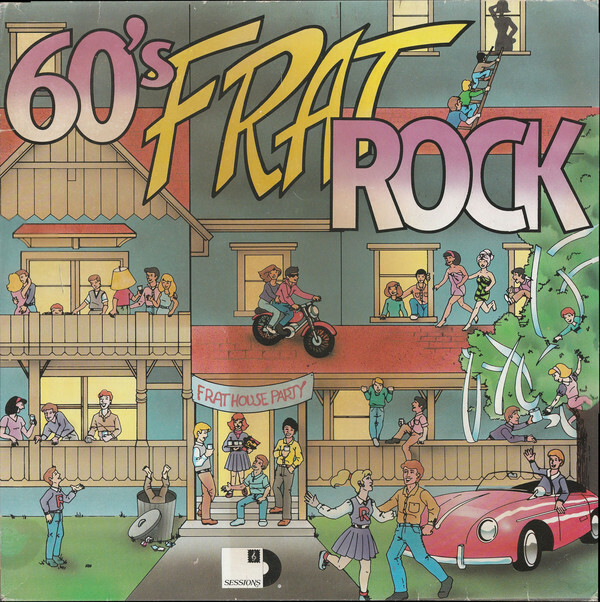 Many of the early Frat Rock songs sounded like a party was happening in the studio when the song was being recorded. Backup singers on these early recordings would hand clap, shout, laugh, holler and make it sound like a party was being thrown while the song was actually being made into a record. 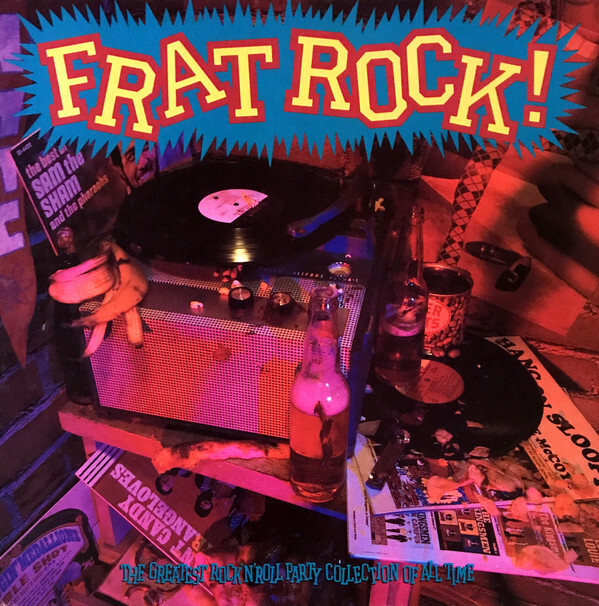 Quite a few Frat Rock songs released in the 60’s were made by rock bands that were either “one hit wonders” or tended to not have more than two or three major Top 40 hits. Later on during the 70’s, Frat Rock’s biggest acts were J. Geils Band and Bruce Springsteen’s E Street Band. These two bands featured plenty of guitars along with keyboards and saxophones. So what do music critics consider to be the best Frat Rock songs of all time? Obviously, my thoughts on Frat Rock are just the tip of an iceberg. If you want more information about this genre of music, there are many places on the Internet to satisfy your curiosity about the various aspects of Frat Rock. To Bruce Bias, as I promised to you: an investigation and a blog message on Frat Rock. Enjoy the read! And to everyone else who is reading this message now: You don’t have to be a former college fraternal brother to enjoy the type of music described on this blog. Everyone can delight listening to this musical genre. Long live, Frat Rock! 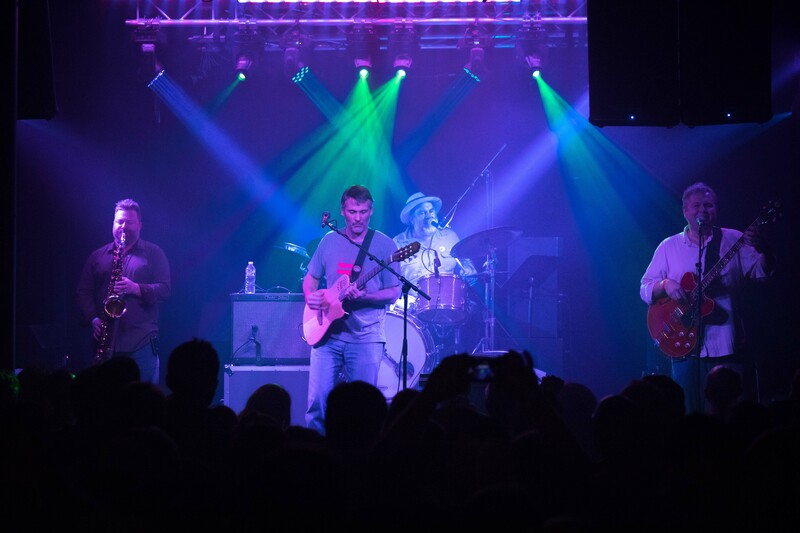 While the Dave Matthews Band was gaining popularity nationally during 1993, another Virginia band was formed that same year in Richmond: the Agents of Good Roots (AOGR). 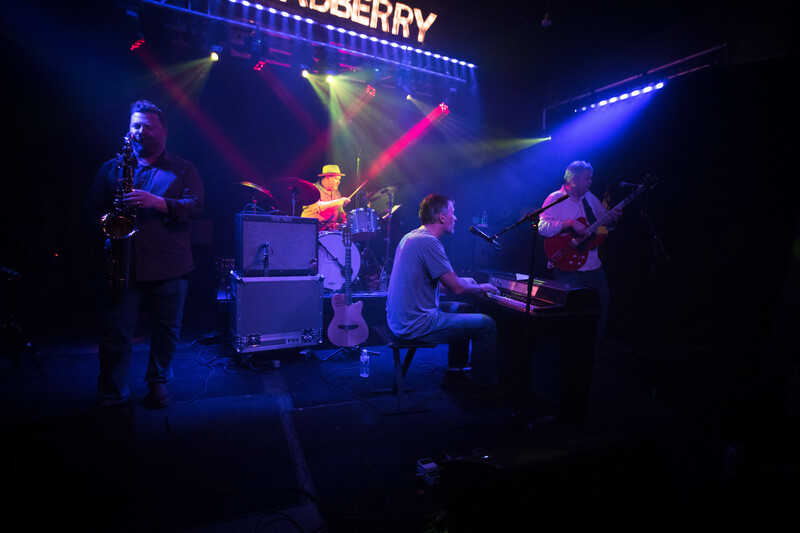 Andrew Winn and Stewart Myers, friends from Patrick Henry High School in Roanoke, Virginia, hooked up with Brian Jones and J.C. Kuhl to form the band that became a darling of East Coast college campus venues and club circuits throughout the 90’s. 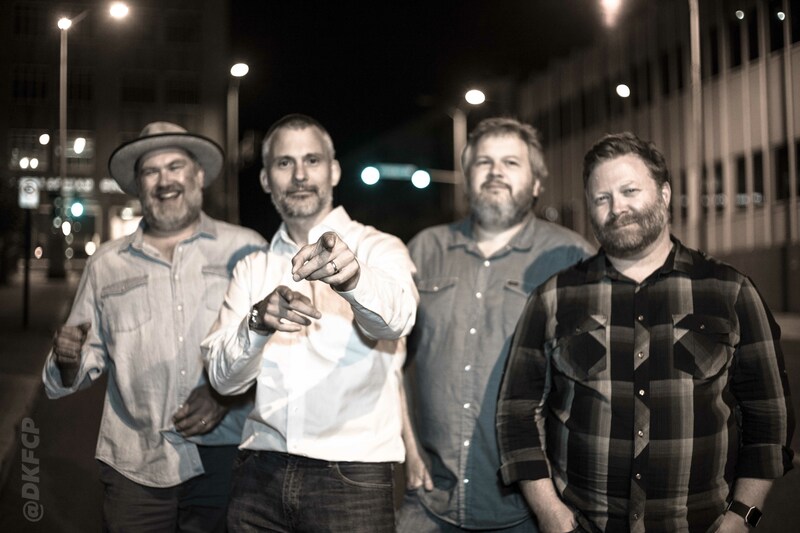 Agents of Good Roots are celebrating their 25 years as a band by performing two Virginia concerts. AOGR will playing at The Broadberry in Richmond on December 21st and then the next night will be performing at Roanoke’s 5 Points Music Sanctuary. My connection with AOGR goes back to the late 80’s when I met Tom and Nancy Myers along with their son Stewart. I was a sound engineer for Grace Covenant Church in Roanoke, Virginia and Stewart played bass with the worship team during his high school years. Stewart Myers met Andrew Winn at Patrick Henry High School. The two boys played together in various rock bands and formed their musical bond during this time period. After graduation from high school, Winn attended James Madison University and Myers went to school at William and Mary. By 1993, both Myers and Winn ended up in Richmond and formed a band with Brian Jones and J.C. Kuhl. The original name of this new band was River Jacks and their first show was played at Shockoe Bottom in Richmond 25 years ago. Quickly after the first concert, the band became Taxicat and then finally came up with the name Agents of Good Roots within the first year of the band’s forming. From 1995 until 2001, AOGR toured up and down the East Coast and had a regional following. The band toured with Virginia artists Dave Matthews Band and Bruce Hornsby, along with Blues Traveler during their active touring years. Agents of Good Roots recorded five studio albums, two EP’s and released four singles during the years 1995 through 1999. Two of the AOGR singles received airplay on Triple A rock radio stations and one of the band’s videos was played on MTV. The single, “Smiling Up the Frown” was a radio hit on Triple A rock radio stations and reached number two on the Billboard Triple A chart during 1998. Another popular single for the band in 1998 was “Come On (Let Your Love Come Alive).” This tune also received airplay on Triple A rock radio and MTV added a video for this song to their rotation when the song was popular. Starting in 2001, AOGR cut back on their massive touring schedule and maintained a limited amount of concerts in and around the Richmond area. Then in 2006, the band went on hiatus and remained dormant until 2017. 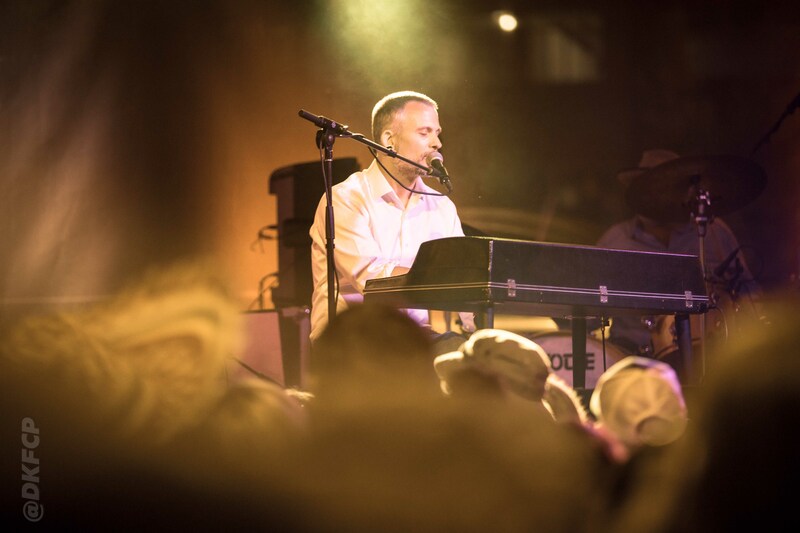 According to the official Agents of Good Roots website, the band, “reunited for a memorial show for their tour manager and spiritual advisor, Jeff Peskin.” Since that time in October 2017, AOGR have performed 12 concerts in Richmond, Roanoke, Hampton, Charlottesville and Arrington, all in Virginia, plus in Baltimore, Maryland and Washington D.C. I had the opportunity to attend the Agents of Good Roots Roanoke concert back in October and also met with band members Andrew Winn and Stewart Myers three hours before the beginning of their concert that evening. It was great reconnecting with Myers and a pleasure meeting Winn for the first time at the 5 Points Music Sanctuary concert venue. So how does one describe what kind of band AOGR is and what genre of music they play? I asked this question to Winn when we met and he came up with one word: “improvisational”. My one word to describe AOGR’s music is “hybrid”. They play rock, pop, jazz and old school R&B with some retro grooves. The band is known for playing its songs differently each time they perform live. So what are the “day jobs” that the Agents of Good Roots members are performing here at the end of 2018? Winn now lives in Roanoke and is an anesthesiologist with Carilion Clinic. 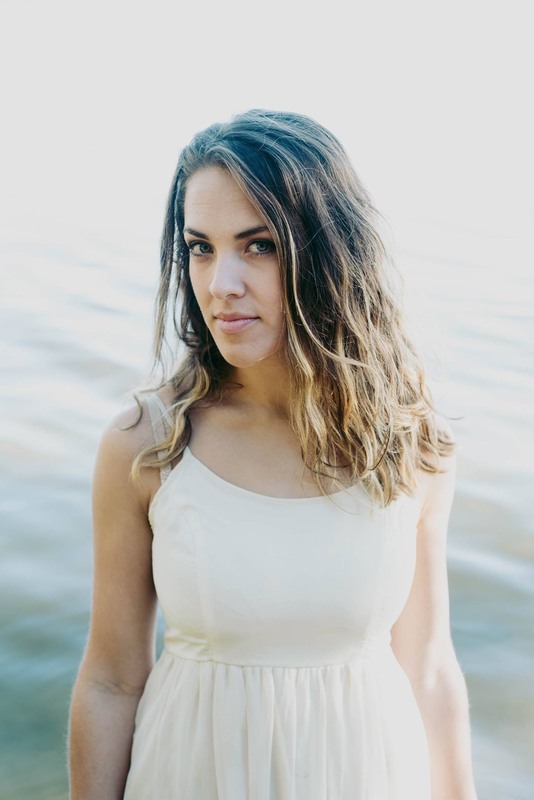 Myers works in the recording industry and recently produced an album by Virginia folk/country artist Sarah White. 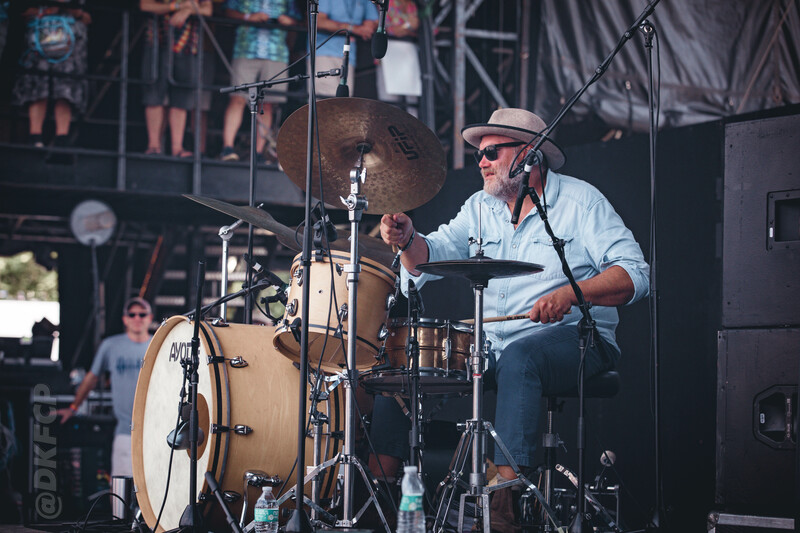 Kuhl and Jones both teach college jazz courses at the College of William and Mary, the University of Richmond and Virginia Commonwealth University. What are the Top 5 AORG songs? What is the signature song of AOGR? 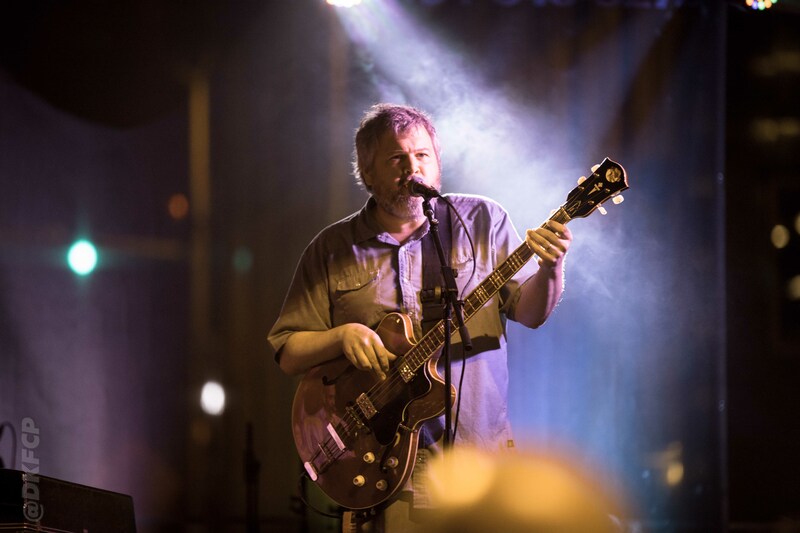 As I mentioned above, I attended AOGR’s Roanoke concert a couple months ago and I came away impressed with the musical variety and musicianship of each member of the band. I enjoyed their show and would definitely attend another concert by AOGR. If you ever have the opportunity to attend an Agents of Good Roots concert, you will not be disappointed. Happy 25th anniversary to the band.